Many dog food companies buy dogs and cage them in laboratories for feeding trials. We put together a list of companies who don't run feeding trials on caged dogs for ethical reasons. Question: Are dog food feeding trials inhumane ? Answer: Feeding trials are done in private caged laboratories, so we don't know how the dogs are treated. Some feeding trials may be more humane than others. However, we do know that these dogs were bred for testing and the same breeders sell dogs for inhumane testing. So, feeding trials support the practice of breeding and selling dogs for experimental purposes. The companies listed below do not preform or support these feeding trials. Founded in 2006 by David and Stacie Forman, the brand focuses is on high grade proteins, healthy fats and a minimal amount of carbohydrates. Their food is made in facilities that are BRC-approved which is one of the highest standards for food safety. Our deep dive on the product shown above revealed a great product that has a high price point. Watchdog Labs has conducted one detailed review on a Weruva Product. Founded in 2000 by Lucy and Charles Postins, the family owned brand focuses on 100% human grade food that is dehydrated so it maintains its nutritional value. Their food is made at a human grade facility in Illinois, but the name was not shared with us. Our deep dive on the products shown above revealed a high quality product at a high price. Watchdog Labs has conducted two detailed reviews on Honest Kitchen products. 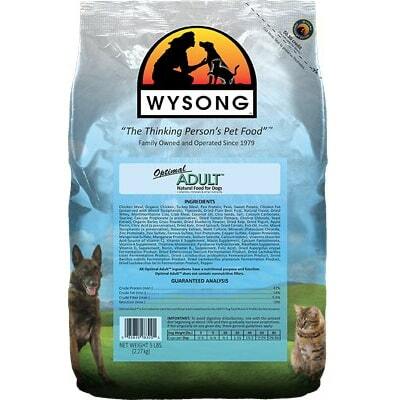 Founded in 1979 by Dr Wysong, the family owned brand focuses on natural healthy pet foods and holistic pet health care & nutrition. Their food is made in their Wisconsin owned manufacturing facility. Our deep dive on the product shown above revealed an average quality product at a mid-tier price, with less than stellar customer service. Watchdog Labs has conducted one detailed review on a Wysong Product. Founded in 1982 by Paul Newman (yes the actor), the family owned brand focuses on foods made from a unique blend of proteins, whole grains, vitamins and minerals. Also, they give 100% of all profits away to charity. Their food is made in in CGMP (Current Good Manufacturing Processes) facilities in both Uruguay and the United States with treats being made in Canada and New Zealand. Our deep dive on the products shown above revealed an great quality product at a low price point. 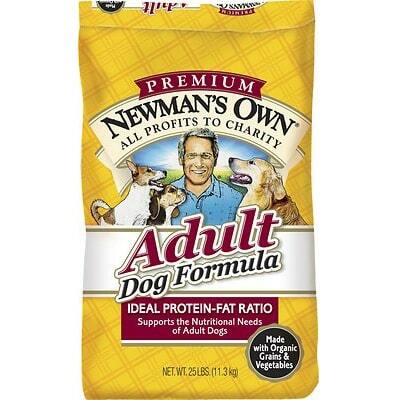 Watchdog Labs has conducted two detailed reviews on Newman's Own products. Founded in 2003, the family owned brand focuses on using ingredients from humanely raised animals and avoiding preservatives and fillers. Their food is made in New Zealand with meats sourced from the US, New Zealand and Australia. Our deep dive on the product shown above revealed an exceptional product at a high price point. 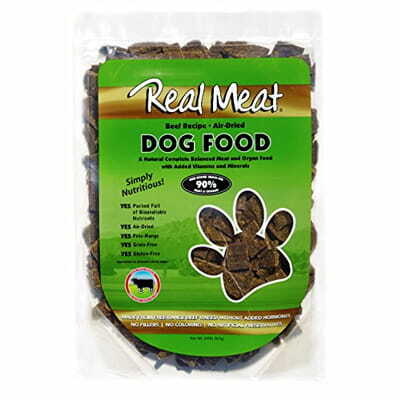 Watchdog Labs has conducted one detailed review on a Real Meat Company Product. Founded in 2013 the family owned brand out of Toronto Canada focuses on premium and ethically sourced ingredients. Their food is made by Barrett Ag Services in Minnesota. "I and love and you" does not participate in any invasive animal testing. All of our meals are tested and validated to meet AAFCO nutrient profiles. We work with reputable kennels, humane societies, and shelters to perform feeding trials for palatability and digestibility, but have chosen not to participate in AAFCO specific feeding trials. Our own pets happily participate in these taste tests, as well." 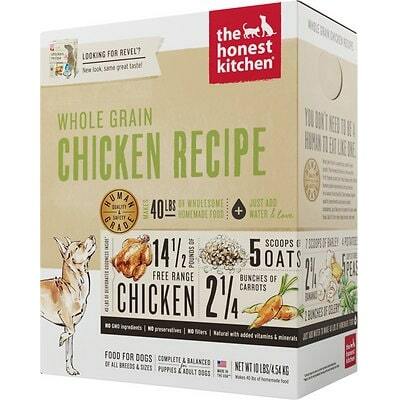 Founded in 2012 in Boulder Colorado, the brand focuses on high quality holistic veterinarian approved foods made with natural ingredients, and no-grains. Their food is manufactured in the US with ingredients sourced from countries around the world, including Canada, Australia, Brazil and New Zealand. Founded in 2005 by David Middlesworth, the San Francisco based family owned brand focuses on 100% plant-based products for dogs that don’t have a need for animal products or factory farming. Their food is made in California with 100% vegan ingredients. Founded in 1989 by Mike Florian, the family owned Canadian brand focuses on the quality, safety and performance of their products. The food is made in their own facilities in British Columbia Canada. Founded in 2015 by Joey Herrick, the family owned brand focuses on a belief that a healthy digestive system feeds the entire body system. They developed a P.B.F Prebiotic Balanced Fiber ™ blend with unique ingredients with that purpose in mind. Their food is made in the United States. "Official feeding trials use beagle colonies or other facilities that Answers Pet Food feels are not appropriate environments for dogs to live their entire lives and we will not financially support these facilities." Founded in 2009 by the Hills family, the brand focuses on being formulated by a nutritional scientist to find the most appropriate fermented diet, using only whole raw foods. Their food is made in Pennsylvania. 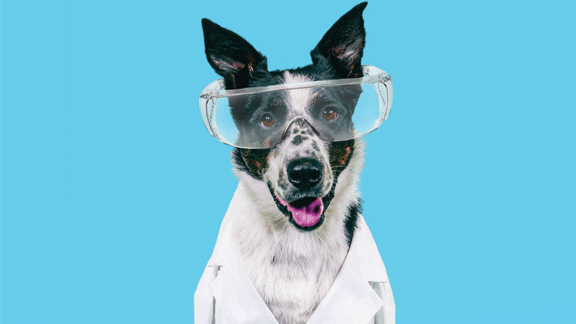 "The only animal testing that Halo conducts is to ensure the palatability of our recipes. We have a commitment to OrigiNative™ sourcing which means that we say no to factory farming and close confinement, instead we choose to work with farmers and ranchers who raise cage-free flocks and pasture raised herds." 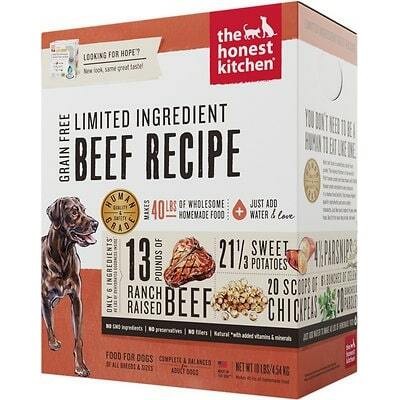 Founded in 1983 by And Brown, the family owned brand focuses on holistic dog food that’s responsibly made with real WHOLE meat, poultry, or fish, and no “meat meal” of any kind. Their food is made in the United States. Founded in 1970 by Sissy McGill, the family owned brand focuses on carefully curated superfoods as the foundation of all the dry food recipes. 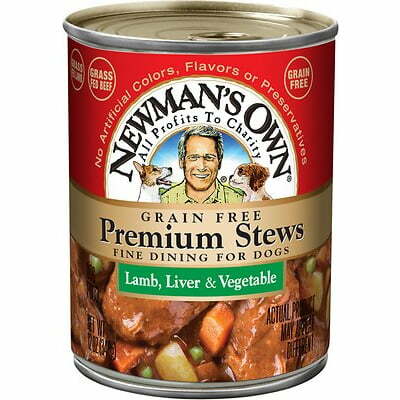 Their dog food is made in the United States. Founded in 1975 by Reinhard Muhlenfeld, the family owned brand focuses on producing biologically appropriate dog and cat foods from fresh regional Canadian ingredients. Their food is made in privately owned kitchens in Canada and the United States. Orijen on this list is made by the same company. Founded in 1996 by Dr Sergio Canello DVM, the family owned brand focuses on products developed through scientific research and phytotherapy. Their food is made in the northern Italy. Founded in 1904 by the Fromm bothers and is still family owned. The brand focuses on having 5 generations of quiet innovation and dedication to the health and nutrition of animals. Their food is made in privately owned facilities in Wisconsin. Founded in 1985 by Reinhard Muhlenfeld, the family owned brand focuses on producing biologically appropriate dog and cat foods from fresh regional Canadian ingredients. Their food is made in privately held kitchens in Canada and the United States. Acana on this list is made by the same company. Founded in 2003 by Marie Moody, the family owned brand focuses on using quality ingredients responsibly sourced from farmers and ranchers they know and trust. Their food is made in the United States. Founded in 2010 by Pets Global, the brand focuses on using meat first, limited ingredient recipes to provide a Physiologically Tuned™, nutritionally correct diet for dogs. Their food is made in Minnesota and South Dakota. 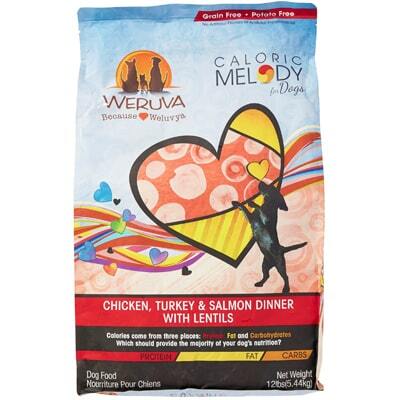 Find the best dog food quickly! Check out our ultimate list of the best dog foods.